The dynamic duo also talk about George RR Martin (self proclaimed the “First Comic Book Fan”), and his take on the Ant-Man film, and some shady Star Wars history that blows Pedro’s mind (and makes him cry, just a little bit). They also podcasted and videoed the unboxing of July 2015’s Heroes II Loot Crate, which you can watch on our YouTube channel (youtube.com/TheMassInvasion). 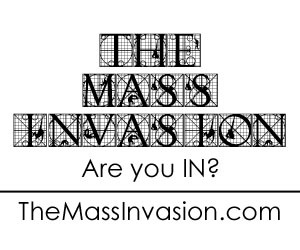 Follow us on Facebook, Twitter, Instagram, Google+, YouTube, Pinterest, and Tumblr under “TheMassINvasion”.